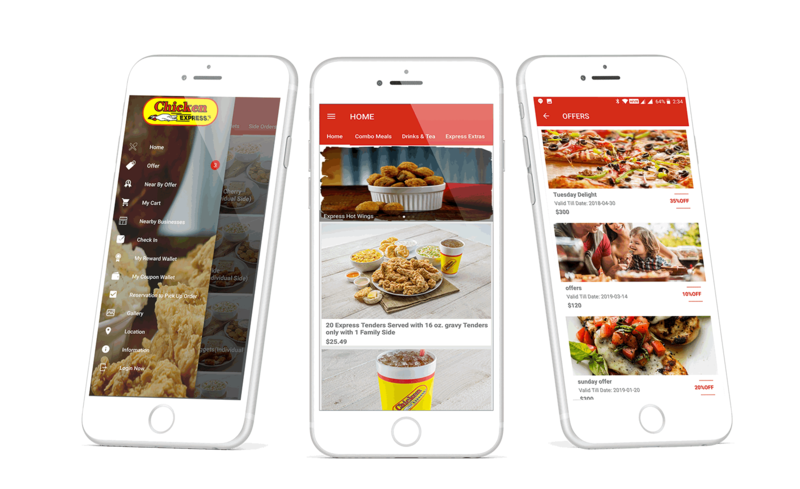 White label Food Delivery Mobile app solution for Restaurant with many innovative & exclusive features. Below is the list of popular features it contains. If you found some missing feature contact us & we Food delivery mobile app development company India will code for you. Send specific offers in the push notifications to your consumers on Mobile. Show updated Menu to your customers with items & pictures. Manage restaurant mobile app data through easy to use web admin console. Restaurant image gallery, directions, direct call button, about info. List gallery of pics of your restaurant property. A customer can make reservations for Dine-In or Food Pickup via mobile app to avoid a standing queue. They can place a food order for home or office delivery. App senses your regular customer who is passing through your restaurant and show the latest offers to your customer on their mobile phone. App available for both platform i.e. iPhone & Android. We developed an exceptional SMART Restaurant Mobile App solution to scale your business. Which helps you in the branding of your Restaurant and also increases your overall incomes through proximity broadcasting offers to nearby passing customers. Your customers get offers/newest affairs on their mobile phone every time when they cross through your restaurant in the range of 100 – 1500 meters. White Label Food Ordering App solution for Restaurant, which is implemented with iBeacon technology and has a characteristic to get offers from nearby located iBeacon devices. As a Restaurant owner, you can set these devices anywhere at the entrance of your restaurant, in the parking area or some crowded area. These small devices have the battery life of several years & broadcast offers to the nearby mobile phones users in the range of 200 meters who have installed your app. *You have to purchase ibeacon device separately. Get Food Delivery, Pick-up Reservation, Table Reservation Mobile App for Restaurant Today !